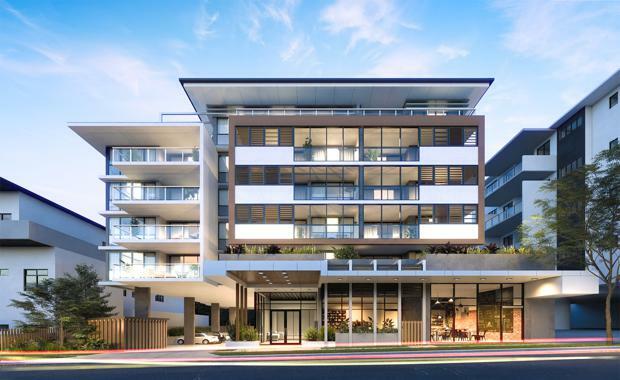 Brisbane’s inner north is about to welcome 'Felicity on Felix', a new $18 million residential development. Construction is well underway on the five-storey, 36-apartment building at Lutwyche. Designed by award-winning architects The Buchan Group, Felicity on Felix consists of one, two and three-bedroom apartments that feature flexible, open-plan living areas and large private balconies to take advantage of natural light and ventilation. Felicity on Felix is due for completion before the end of the year will also feature retail space on the building’s ground floor, to enliven the street. Buchan Group Director Gerry Holmes said Felicity on Felix’s open-air style design in both the indoor and outdoor living zones made the most of Queensland’s favourable climate. “Our brief was to produce a quality apartment complex aimed at both investors and end users," he said. "To achieve this, we’ve created a striking north-facing exterior with integrated landscaping that gives the building a contemporary yet welcoming feel, while an open atrium with an overhanging garden creates an ideal communal and social area. “One of the most enticing elements of the building is its internal private courtyard designed to encourage interaction among occupants. 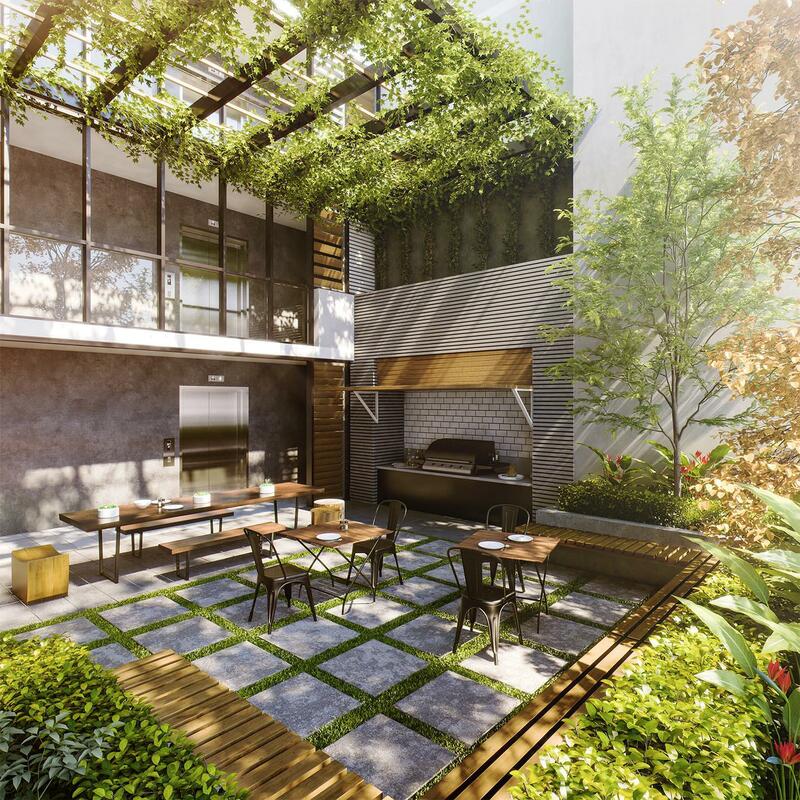 This courtyard features an extensive outdoor barbeque area with an open-air roof laced with overhanging greenery. Mr Holmes said each apartment has been designed to optimise living and outdoor space. 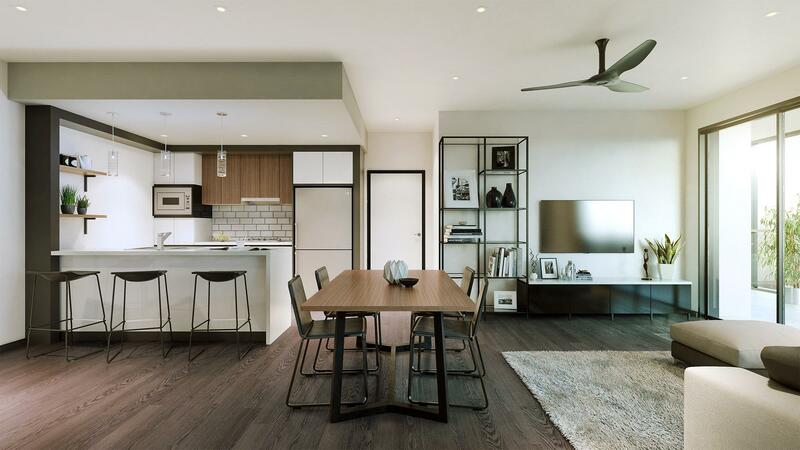 Each apartment features carefully designed kitchens with stone benchtops, double sinks, energy efficient cooktops and European appliances, while each bathroom will boast full-height tiles and frameless mirrors. Located at 19 Felix Street, Lutwyche, the complex is situated a mere six kilometres from the Brisbane CBD and is close to Lutwyche public transport, local cafés and Chermside’s shopping hub.